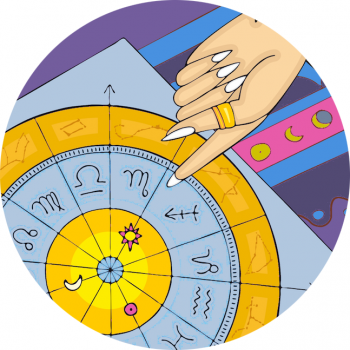 Check in with the stars, Scorpio, it's your horoscope for the month ahead! The first half of February is immensely practical, with a strong focus on work life, your position, health, wellness or habits. The second is far more collaborative, as you lean into partnership, imaginative thinking – and a romantic high! February opens in tension, Scorpio, as your two ruling planets (one ancient, Mars, one more recently assigned, Pluto) clash in angst and tension. The new moon in Aquarius (at 9.04 pm GMT) on the 4th represents a time to refresh your outlook on your roots, your home life, your foundations and sense of security. These are all themes that are now pertinent, as Aquarius Season generally shines its spotlight on your domestic realms. With this new moon moment you can bring a fresh start, potentially connected to or inspired by a work matter. Your outlook on your position is clear as the month begins so infuse your intentions with the practicalities of life during this magical new moon moment, Scorpio. You might receive more news or experience a shift on the 8th. Valentine’s is particularly exciting – for all the star signs – as Mars comes into contact with Uranus, an electric influence that inspires change and new directions. This planet has been shaking up your habits, sense of routine and everyday circumstances for the past eight years, and spring of 2019 (and notably on the 14th) puts a stamp on new directions for work life and your daily schedule. Towards this day reflect on how you’ve turned around your sense of productivity and even taken a fresh and innovative look at health and wellbeing. Pisces Season commences on the 19th, bringing extra focus to the things you find most pleasurable; hone in on personal interests – from the person you find captivating, to a project or subject that’s taken your fancy. February really makes it easy to consider the different facets of what you’re drawn to, and allows room to shift and transform your outlook – particularly the last week of the month. The full moon on February 19th peaks at 3.54 pm GMT, when the sun has just slipped into Pisces. Luna will shine brightly at 0º Virgo, the initial degree of the sign. This is a powerful moment for community dealings for you, and a moment to honour dreams you’ve been working hard on, that have come to fruition with the help of your network of peers.